You read that right. This method, is cheap and easy. All you need is some potting soil, an overripe tomato, and a few pots. 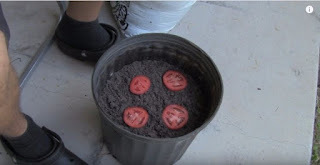 After about a week, your tomato seeds will start to sprout. You may get as many as 60 seedling sprouts in one pot! Look for about four or five of the biggest (strongest sprouts). 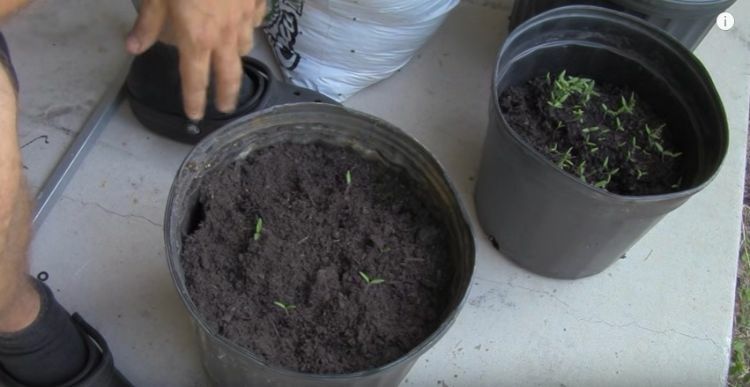 Remove those sprouts and replant them in another pot. Watch the new plants for a few weeks. You'll likely notice that one or two of the plants seem to be growing bigger and stronger. Remove the other two plants to give your stronger plants more room to grow. Tea bags keep pests at bay: Used tea bags (and coffee grounds) will help keep bugs away from your plants. The odor deters pests from chewing on your flowers and veggies. The smell of tea works on cats too: Sprinkle coffee grounds or used tea grounds around your garden to keep Fluffy from urinating on your favorite plants. You can do use this with indoor plants as well. Tea bags do wonders for the garden. They enrich the soil by increasing nitrogen levels, and also give earthworms (fertilizers) something yummy to eat. Just be sure to remove the tags first. They take a long time to break down and might be plastic coated. Seeds. Try pansies, lettuce, broccoli or marigolds. Fold the paper towel, put it in the tray and wet it. Soak the used tea bags and pack them together like pillows in three rows on the paper towel. Make a hole in each bag and poke in a seed. Put the tray in a warm place out of the sun. Take care to keep the paper towel wet. It will keep the tea bags moist. This is VERY IMPORTANT. When the seeds germinate and the seedlings are about 2 cm tall, plant them in their bags in the garden. Tea increases the decomposition of other items: If you use tea bags in your soil or compost pile, the acid in the tea can speed up the decomposition process of other things in the compost bin, which means you can use the compost faster. Worms eat the tea leaves: Worms can safely consume tea leaves. Once they digest the leaves, they produce a more "nutrient-rich fertilizer output," making your soil healthier for growing plants. Water retention: Bury your tea bags near the root of your plants, flowers and veggies to help the plants retain more water and stay healthier.